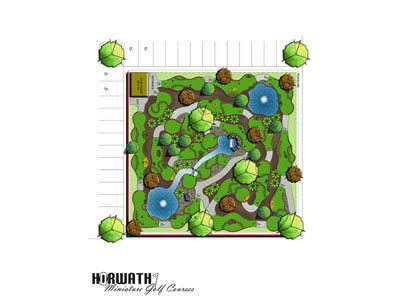 The intermediate course is another great miniature golf course to start out with. This course is great for small spaces and smaller budgets. 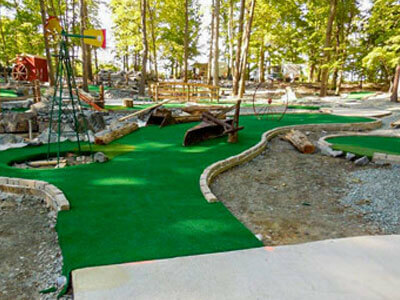 Just because it’s called the intermediate course doesn’t mean your not getting a top of the line miniature golf course. 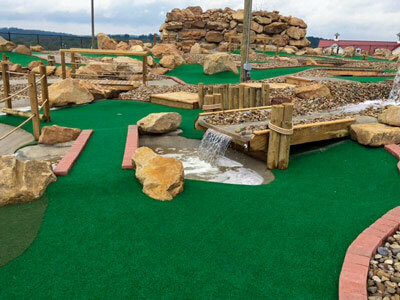 With this course you get a 10′ high waterfall with water splashing down the front and then babbling down a creek into a large catch pond with fountains. This is a great course for ice cream stands and campgrounds. The only this missing here is the big price.